Visitors from across the world have been flocking to Scotland to discover the country’s latest tourism experience – the Borders Railway. VisitScotland can reveal that tourism businesses in Midlothian and the Scottish Borders have reported significant growth since the line was opened just over a month ago, with some even celebrating a 100% increase in takings. After global media coverage around the launch of Scotland’s latest Great Scenic Rail Journey - which connects Edinburgh to Tweedbank - visitors from America, Australia, Canada, Germany, Italy and the UK have stepped on board, stayed in accommodation nearby, and visited the many attractions on offer, from Abbotsford House to the National Mining Museum Scotland. 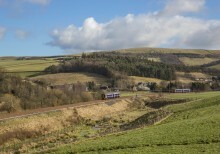 Scotrail has reported this week that more than 125,000 passenger journeys have been made on The Borders Railway since opening, with demand so high that extra carriages have had to be added to many services especially at weekends, with day-trippers jumping on board to experience all that Midlothian and the Scottish Borders have to offer. 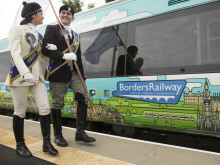 The Borders Railway started public service on 6 September 2015, and was formally opened by HM The Queen on Wednesday 9 September. The project is being delivered as part of the ‘Borders Railway Blueprint’ that sets out an ambition to fully realise the economic benefits of the Borders Railway, transform tourism opportunities and open up communities in South-East Scotland as new places to live, work, learn, play and grow. VisitScotland is investing £367,000 in a unique three-year international marketing campaign to put the new Borders Railway on the map. The funding, provided by Scottish Borders Council and Midlothian Council, and with match funding from the Scottish Government, will be used to promote the Borders Railway and surrounding regions to national and international markets. 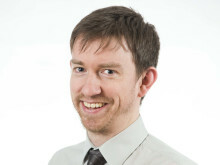 “The news today that tourism businesses in Midlothian and the Scottish Borders have reported significant growth since the Borders Railway reopened last month is fantastic. “From carrying around 6,200 passengers on 17 steam train journeys to four out of five shops in Galashiels reporting a doubling of takings, the Borders Railway is breathing new life into the region. 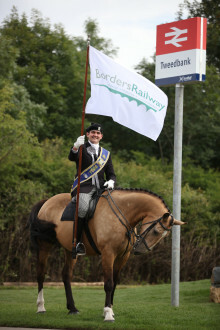 “The opening of the Borders Railway was an emotional moment for many, and such great results from just one month in service is absolutely fantastic news and more than we could ever have wished for.However, this is just the beginning and to ensure continued tourism success, we must continue to invest in and promote the experience, listening to visitor feedback and adapting as necessary. 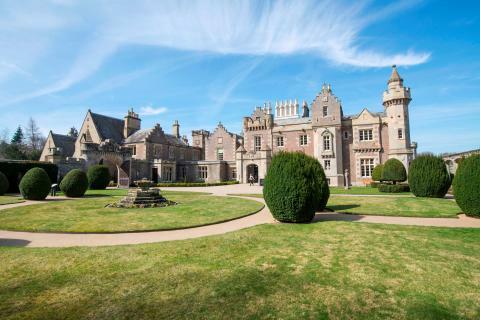 “Abbotsford has noticed a significant increase in visitor numbers as a direct result of the opening of the Borders Railway link to Edinburgh. It has expanded our day visit market potential to Edinburgh and beyond, opening our doors to a much wider marketplace and enhancing our appeal as a destination. Caption: Abbotsford House, the home of Sir Walter Scott.